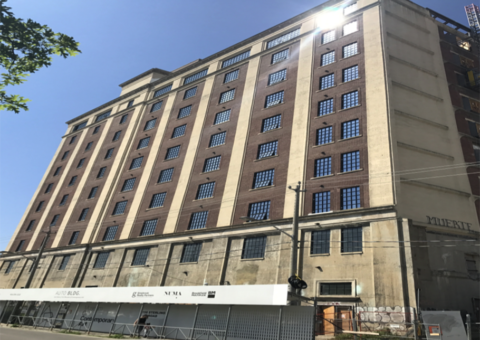 In 2016, it was determined that the Museum of Contemporary Art Toronto Canada would find a new home in the City’s Tower Automotive Building, a ten-storey, century-old former factory. 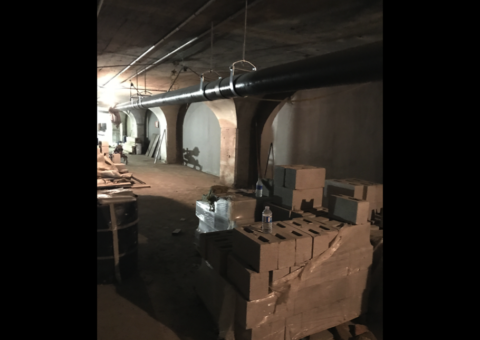 Scheduled for a spring 2018 open date, the museum’s space on the first five floors of the building needed to be renovated for its use. 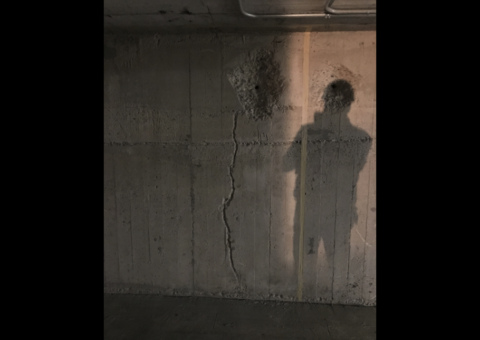 A lack of waterproofing and leaks in the building’s foundation walls, were discovered as the project commenced. 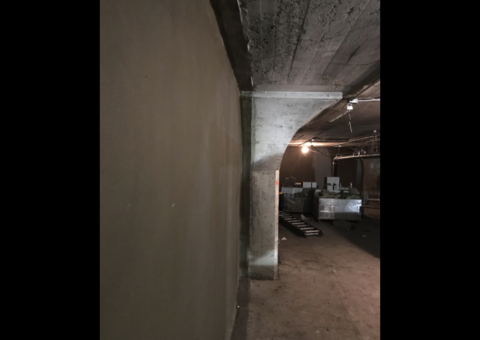 Kelso Coatings was hired by the general contractor and specified by WSP to provide a solution that would protect the Museum’s priceless art from water and moisture infiltration. 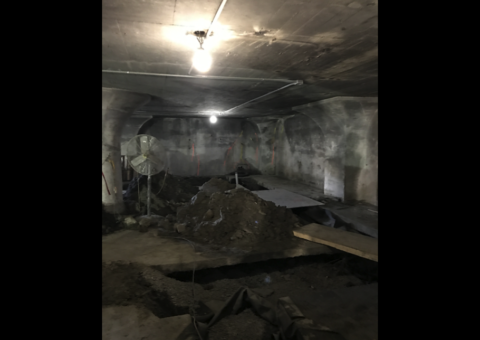 The CN2000 waterproofing system was used entirely on the negative side of all foundation walls, existing and new elevator pits, mechanical room and any other area where there was evidence of water infiltration in the space the museum will be occupying. 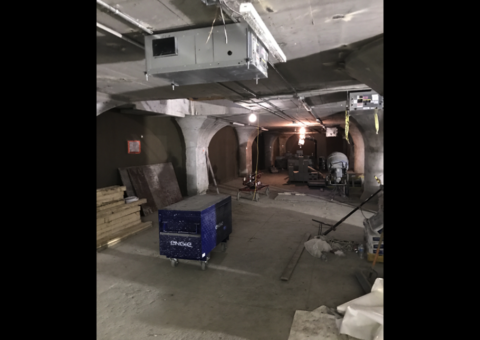 Proven to resist extreme hydrostatic pressure,, dry/wet cycles, and corrosion, the CN2000 waterproofing system will seal the concrete structure , while still allowing the concrete to breath and prevent leaks in the future, providing a safe, dry environment for the museum's art and its patrons for many more years. 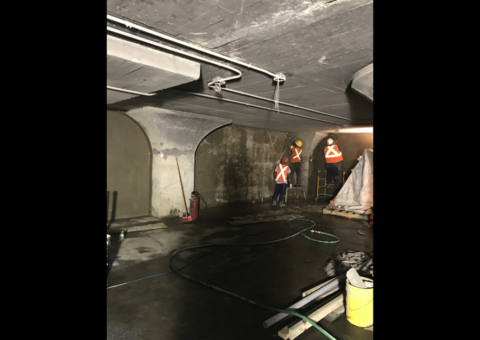 Additionally, Kelso was able to work with other trades in the general area since CN2000 is non toxic, environmentally friendly and allows the contractor to continue their work in order to stay on schedule. 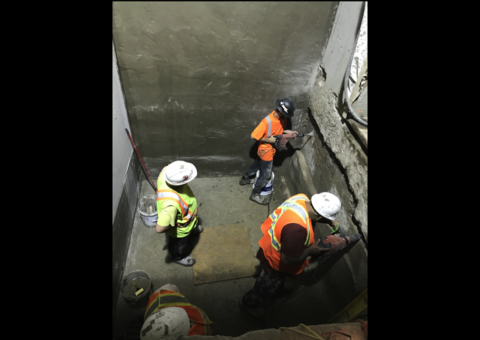 After controlling water infiltration in the elevator pit, crew prepared the remainder of the pit. 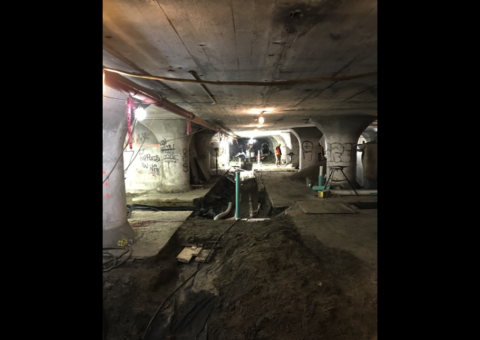 All cracks and cold joints U-grooved in preparation for CN2000 waterproofing system. All cold joints had either an up-turn on the soffit (ceiling) or downturn on the slab. 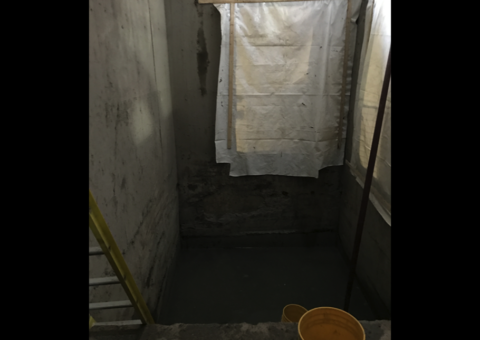 All concrete must be washed and saturated with water, prior to application. 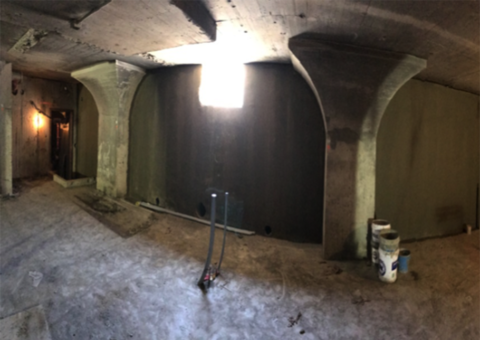 Initial coat of CN2000B crystalline coating was applied on the interior foundation walls. 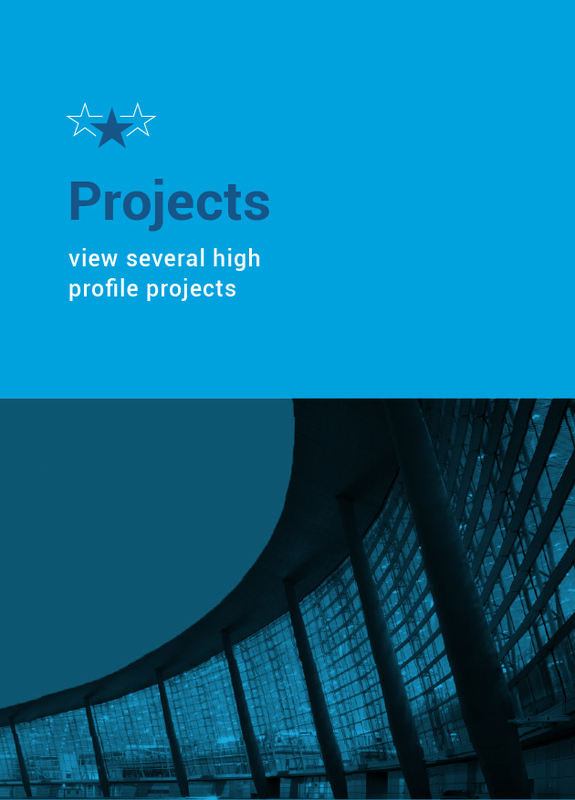 During application, there were a couple of active leaks which became visible. This was resolved using our CN2000A insta plug. 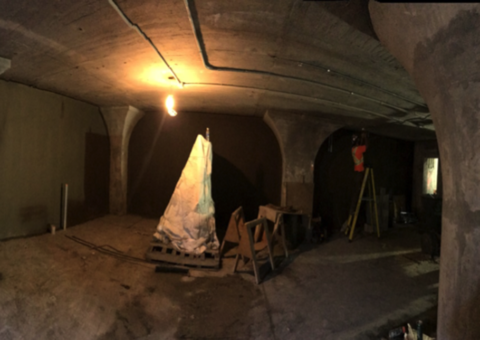 After all leaks were terminated, another coat of the CN2000 crystalline material was applied using a trowel. 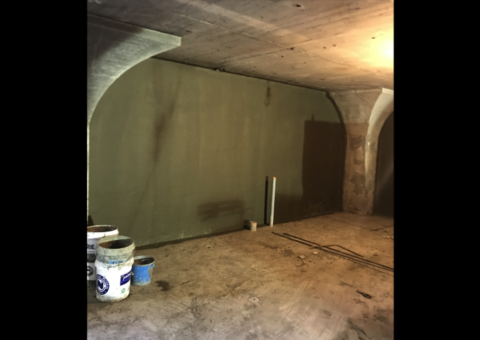 This was completed with a coat of our polymer modified cementitious coating.